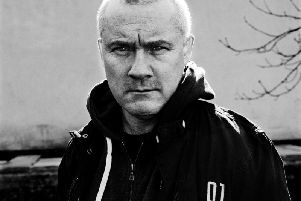 One of the world’s leading crime writers, Jo Nesbo, is coming to Harrogate. Published in 40 countries and a well-known figure in the bestseller charts, Nesbo will appear on April 8 at the Old Swan Hotel at a special launch event with the Theakstons Old Peculier Crime Writing Festival. The exciting event will also see the unveiling of the full programme for this year’s festival due to run at the Old Swan Hotel this July. The number one best-selling author of the Harry Hole series set in Oslo will discuss his new thriller, Blood on Snow on the eve of its publication with acclaimed broadcaster Mark Lawson. They’ll also discuss the globally popular Harry Hole books, soon to be turned into a major movie. Simon Theakston, Executive Director of T&R Theakston, said: “It’s an incredible coup that Jo Nesbo is coming to Harrogate. He is only doing a tiny handful of appearances in the UK, so it’s a great indication of the reputation we now have as the crime writing capital of Europe. This one-off evening also offers the chance for fans to get their hands on an early copy of Blood on Snow as it is not released until April 9. Nesbo will also be signing books after the event.